As we head into National Carer's Week for 2018, it's a great time to reflect on why we founded sameview. There are 2.7 million carers out there in Australia, and incredibly the unpaid support they provide contributes to over a billion dollars to the Australian economy each and every week. 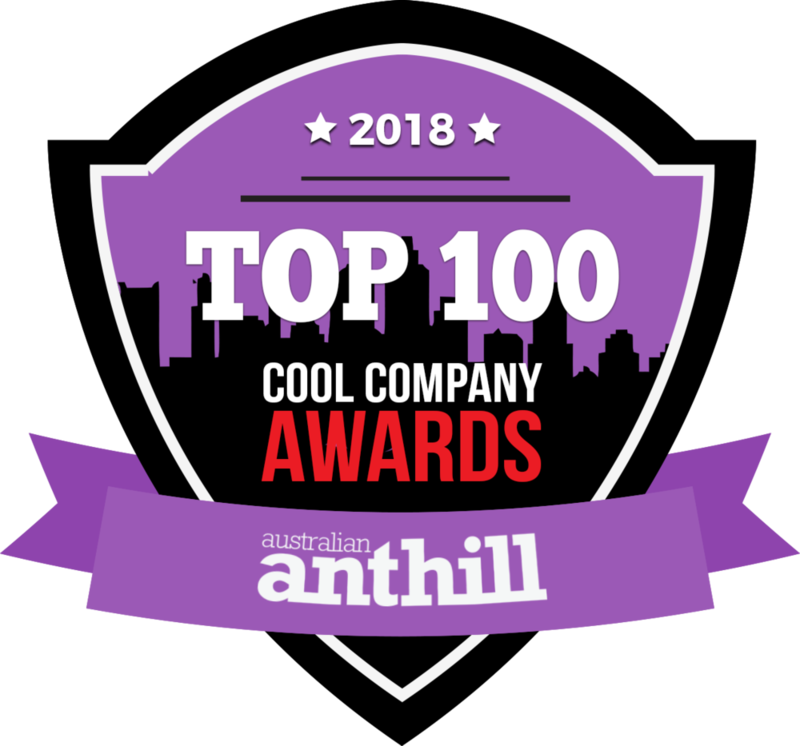 At sameview we've been focused on the carers of children with disabilities, and the ecosystem of people who support or provide services to them. What we've seen is that families will go to extraordinary lengths to find solutions and interventions that can improve their child's life. As parents we seek to defy expectations, not because we are in denial, but because we believe in human potential. Doctors, therapies, activities, education - every aspect of our child's daily life is a critical piece in maximising the potential of their future lives. Every little goal achieved creates a lifelong increase in capacity and independence. The stakes are high and timeframes are tight, creating a high pressure environment for families and providers. One way we can take some of this pressure off is by making the entire ecosystem of families, doctors, therapists, support workers, and educators work better together. In any situation around the world, we know that effective teams deliver better results. The people in these teams are collaborative, efficient, and united by a common purpose. We believe that all families in the disability community deserve to have an effective team supporting them. This is why we created sameview. It's great to see families and providers now using our platform and the new features last month. 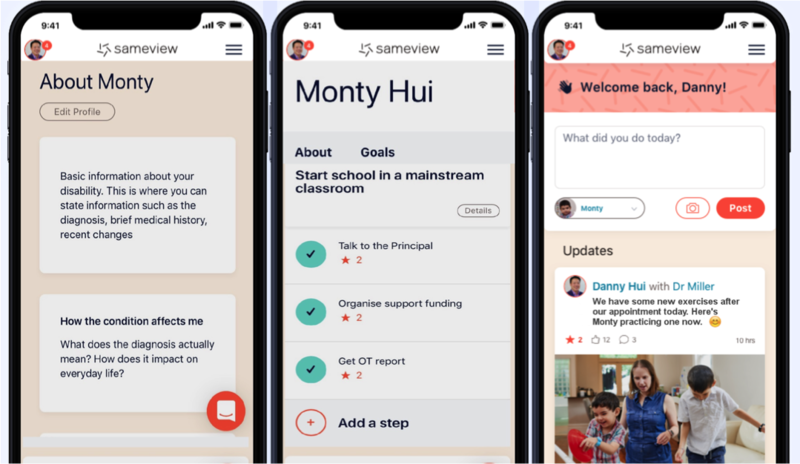 Families are now building their teams in sameview and also sharing updates with them. We are also excited that there are therapists who are inviting families onto the platform, providing a nice value added benefit to the great service they deliver. Ability to change team member permissions is live now. Much more we're working on right now. While we have an ever growing support library with videos and guides on how to use sameview, we understand that sometimes the easiest way is just to have someone talk you through it. To do that we now have 1-on-1 support sessions (via phone or web) available that you can book yourself into here. New availability is being added constantly and there is also a late evening option for busy parents and providers. 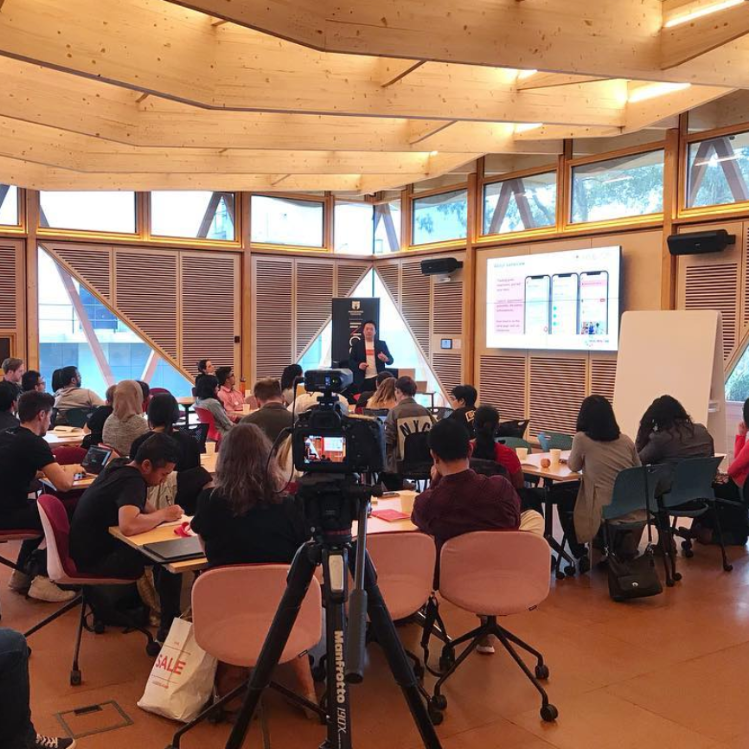 This week we had the lovely opportunity to speak at the Macquarie University Incubator and the Social Impact Hub's "Go Social" program for new social entrepreneurs. At the event we shared our experience in early stages of sameview, particularly around minimum viable product design and development. An amazing audience filled with ideas for how they could make a social impact, I can't wait to see what they achieve. 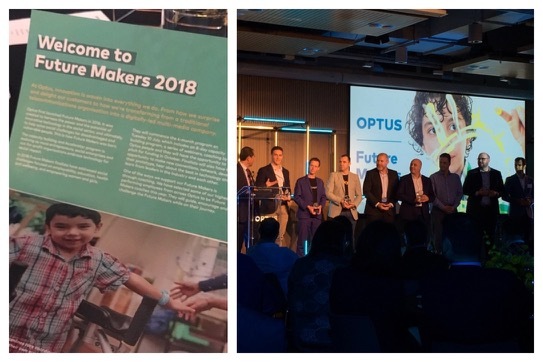 We were at the final of the Optus Future Makers program for 2019. 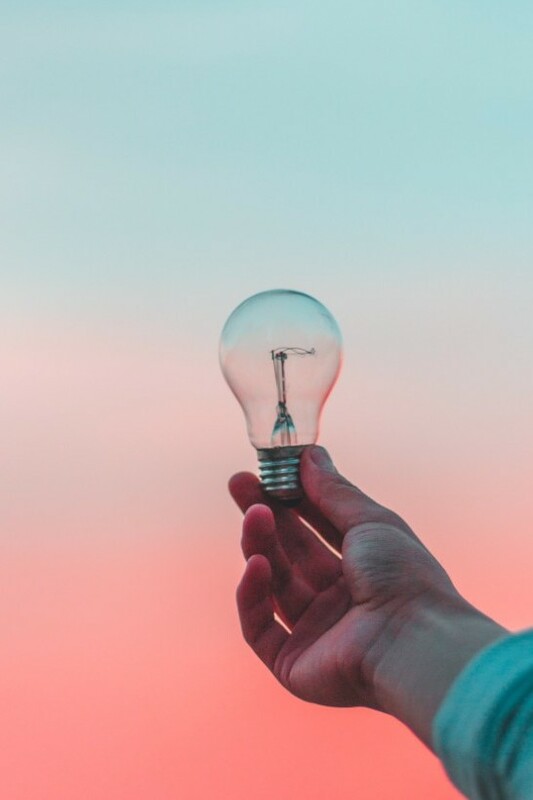 This program is what made sameview a reality and it was great to see them support another great cohort of social entrepreneurs. 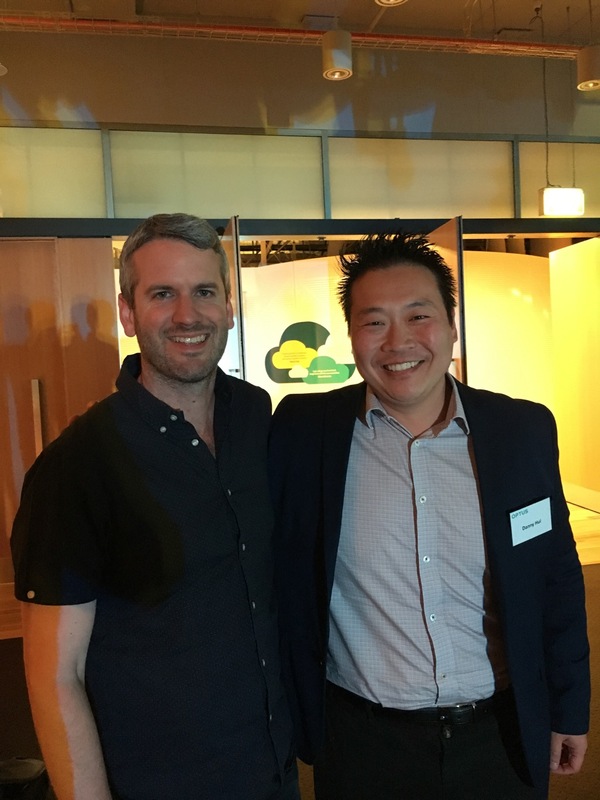 One highlight I wanted to share about our win from Optus Future Makers 2018 is Daniel V.
Daniel is a talented operator in the digital media space and runs Uplight Media. Daniel was behind the camera interviewing me right after it was announced that we had won the 2018 program. In describing what sameview is Daniel stepped out from behind the camera and stopped to ask me again. I'll never forget how much it meant that he shared with us that he too is a parent like me, and that sameview is something that could help his family. it was so nice to be able to see Daniel again at the 2019 final. This has been a fun month at work and home. At sameview what I enjoy most is any chance I get to connect with the families and providers using our platform. Those conversations and connections is my fuel for driving sameview forward. At home it has been a huge month. October is Monty's birthday month and this year we held a party for him and his friends from school. It's hard to believe that Monty is only six, he's a kid who has lived through a lifetime of experiences already. Don't grow up too quickly buddy! 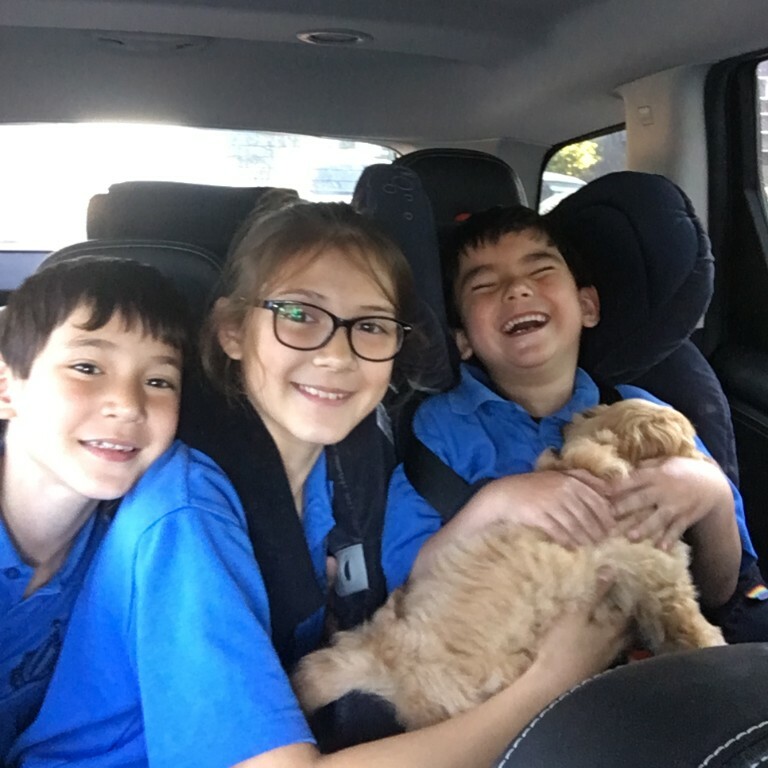 I want to also introduce you to a new member of our family - Wilbur the cavoodle. Pets have always been a part of our household and we've been considering getting a dog for some time now. He's a lot of fun and adds so much joy to our family life. This month is going to start with the excitement of carers week, and hopefully we'll be able to connect with more families and providers during this time. For sameview our focus right now is in getting feedback from you so that we know we are on the right track with a solution that people value. Have a great month and speak to you soon. Welcome to the family Wilbur!